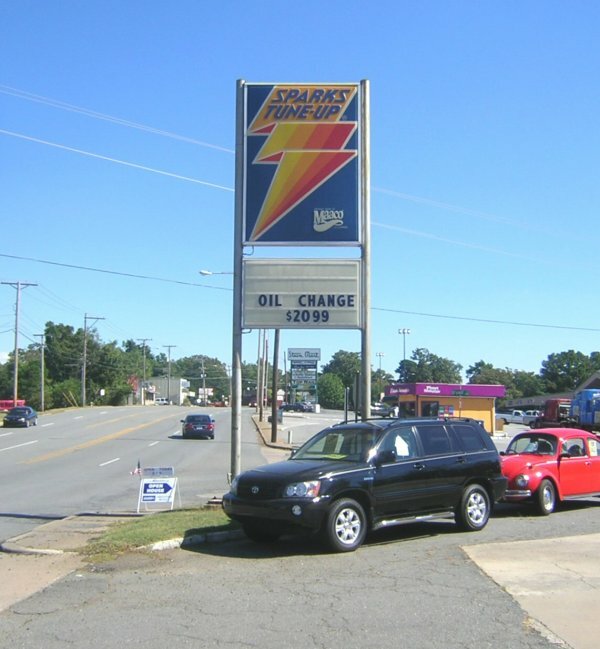 Sparks Tune-Up shop (but also sells gas) on AR10 in Little Rock, AR. A look at the station itself. Taken by David Backlin, Sept. 26, 2004. 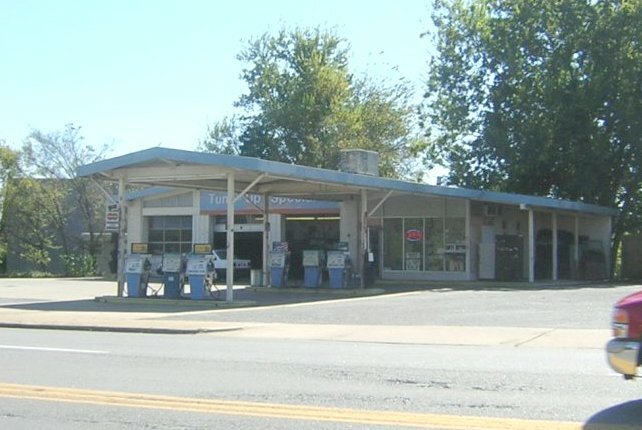 Location looks like possibly a former Shell station.